SAN FRANCISCO—At its public meeting today, the Judicial Council approved a proposal, effective July 1, 2013, to allow superior courts to require that parties electronically file and serve documents in civil cases. The council also approved two new optional Judicial Council forms that will be used by parties to request exemptions from mandatory electronic filing and service and for courts to use in ruling on those requests. The proposal changes the California Rules of Court in response to Assembly Bill 2073. That bill authorized a mandatory electronic filing pilot project in the Superior Court of Orange County and required the Judicial Council to adopt uniform rules to permit mandatory electronic filing and service of documents in specified civil actions. While the new rules exempt self-represented parties from any mandatory electronic filing and service requirements adopted by participating courts, they also include language that encourages these parties to participate voluntarily. To the extent feasible, courts and other entities are encouraged to assist self-represented parties to electronically file and serve documents. Overview of Judicial Branch Budget for FY 2013-2014: The council received an informational overview of the newly signed state budget, which includes new funding of $63 million over the Governor’s proposed budget for the judicial branch. The augmentation includes $60 million designated for the trial courts and $3 million in total for the Supreme Court, the Courts of Appeal, and the Habeas Corpus Resource Center. (No additional funding was provided for the Judicial Council/AOC.) Even with this augmentation, after successive years of budget reductions and actions by the Judicial Council and the courts to offset those cuts, the overall net reduction in branch operational funding since 2008–2009 now stands at $472 million. The council expects to address specific budget allocations to the courts, utilizing the newly adopted funding allocation methodology, at its special budget meeting on July 25. Trial Court Presiding Judges Advisory Committee Chair Nomination Process: The council approved a recommendation from its Trial Court Presiding Judges Advisory Committee that enables it to submit to the Chief Justice one nomination, rather than three, for appointment as advisory committee chair, and that the candidate be selected by a majority vote of all the committee’s members. The chair of the Trial Court Presiding Judges Advisory Committee is an advisory member of the Judicial Council. 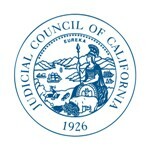 Restructuring the AOC’s Legal Services Office: The council approved recommendations to restructure the Legal Services Office, including having three managing attorneys over three distinct service areas to ensure continued focus on serving the varied and diverse needs of the appellate and trial courts, the Chief Justice, and the Judicial Council/AOC. The changes also include implementing a formal structure to solicit client feedback on a regular basis, strengthening protocols for the use of outside counsel, and establishing a dual reporting relationship to the Legal Services Office for all AOC staff outside of its legal office who provide legal advice or legal-related services that require a law degree. The recommendations respond to the council’s directives arising from the Strategic Evaluation Committee’s final report on the AOC. New Judge Education: The council approved recommendations from its CJER Governing Committee about new judge education programming. The Governing Committee determined that the model for new judge education is, by and large, effective and efficient. But those recommendations also include exploring the use of cost-effective WebEx meetings to connect seminar participants after the courses to answer questions, solicit feedback, and share how they are implementing what they learned. The recommendations respond to the council’s directives arising from the Strategic Evaluation Committee’s final report on the AOC.